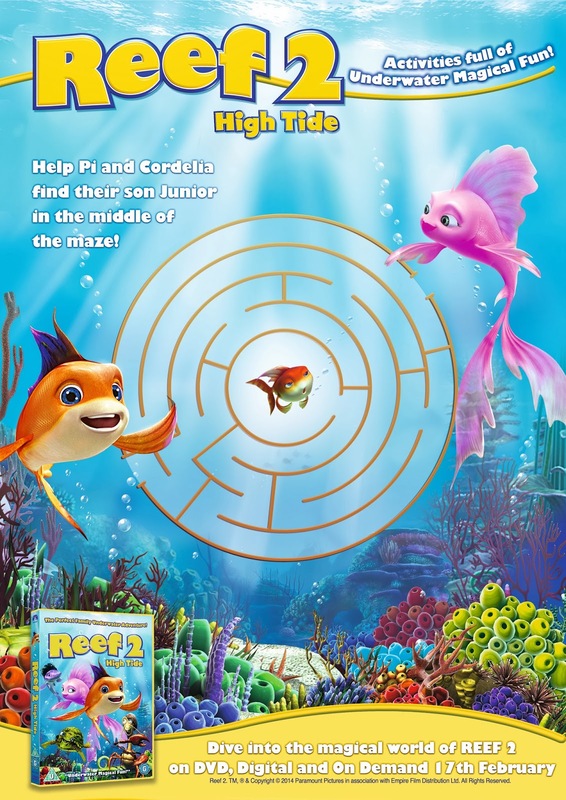 So I was delighted when I was sent the latest Paramount DVD release "Reef 2 :High Tide" which is coming out on DVD, Digital and On Demand on February 17 just in time for the half term hols - hurrah! Now I'll confess I never saw Reef 1 (2006) but some of my children said they'd watched it at a friend's house and enjoyed it. They came home after a cold wet walk home from school this week and after I'd lit the fire I thought it would be a perfect film to watch for a post-school wind down. 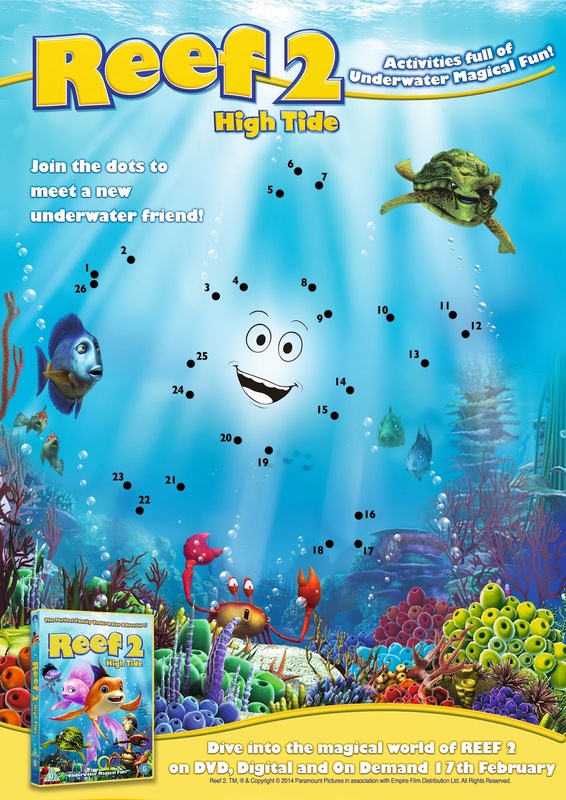 The film sees the return of courageous little fish "Pi" who once again has to save his beloved reef. Troy the naughty shark that Pi saw off in his last adventure has returned and this time he has brought along his toothy shark friends for a fish buffet. Pi decideds to train his family - Cordelia (Busy Phillips of Dawsons Creek fame) and son Junior in the martial art of Fish-fu, there is a fish-napping incident and watch out for fishy spies! 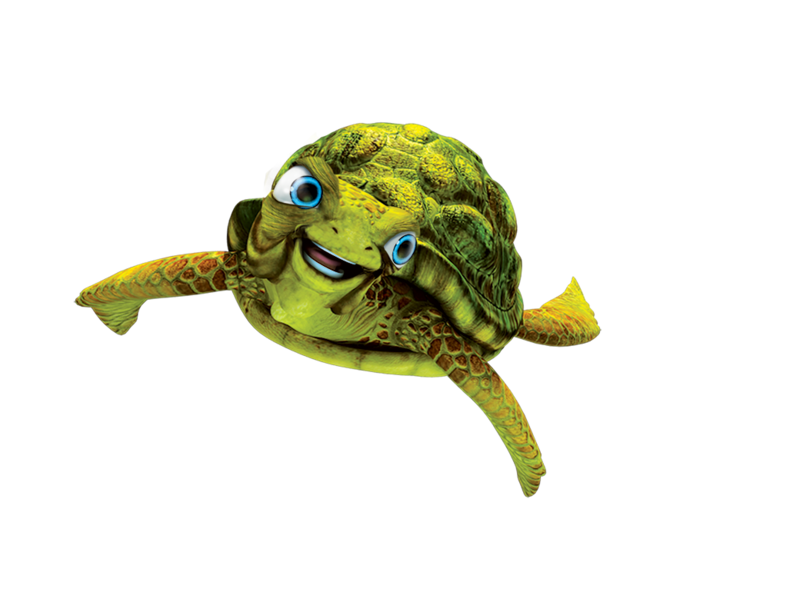 Reef 2 also sees the return of the wise old sea turtle Nerissa voiced by Rob Shneider - my son is very keen on turtles so this was his favourite character. To be fair you could be forgiven for thinking that the characters and animation are very similar to another very famous fishy children's animation but kids love familiarity so I don;t think it would be an issue - mine certainly noted it but didn't think it detracted from a sweet, bouncy story with plenty of laughs.